@&#* I NEED TO CAST THIS ON NOW. And... go ahead and move the abacus to 64 projects? Here's the culprit (this) time. 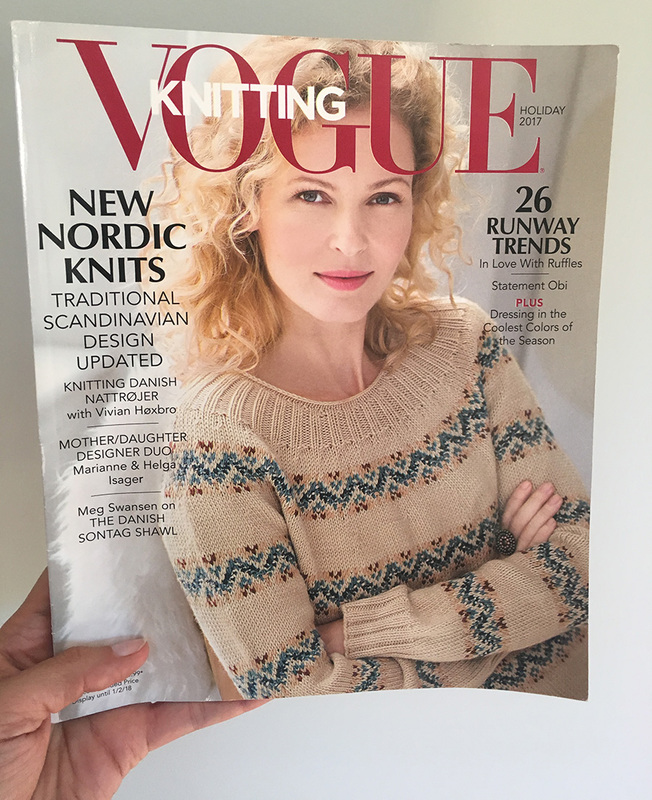 Vogue Knitting Holiday 2017, the cover shows a dichotomy of a woman -- is she relaxing? But wait, she's so confident. Is she at work, the executive for a yoga company that's killing it, and saying, "Go ahead, wow me with a new #athleisure concept?" Who cares if I didn't own Lululemon -- I was going to have this sweater AT LEAST. Two things got me about it. First: the neckline. How pretty is that?! 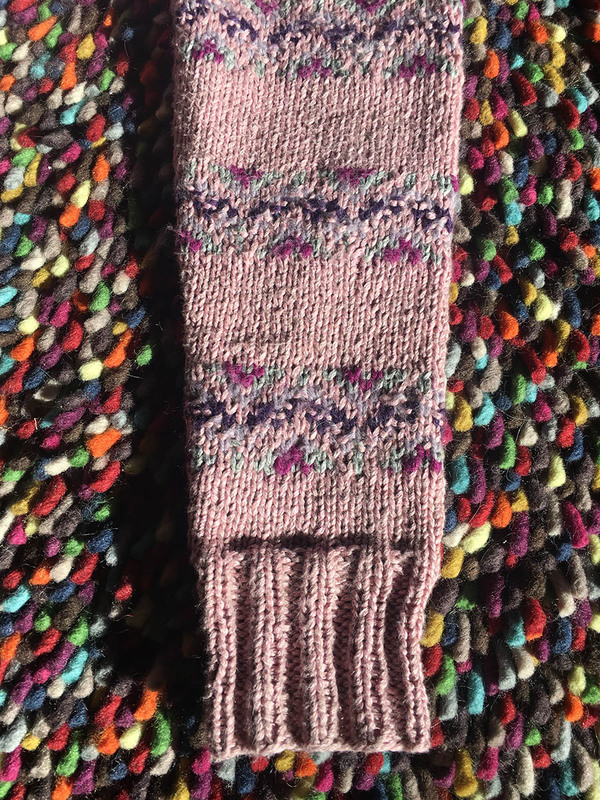 Second: as I looked closer at the fair isle bands I thought there was something odd and unique about them... but I only realized when swatching that some of the color rows were actually PURLED! 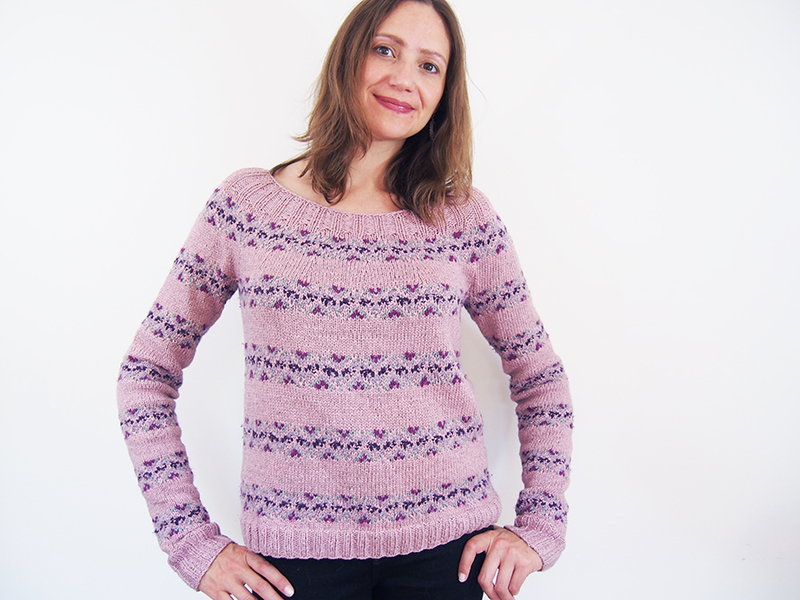 No -- I don't mean that this sweater is knitted flat and requires that you to do the wrong side in fair isle. This is indeed a classic Nordic construction, an in-the-round yoke that attaches to in-the-round sleeves. What I mean is that some of the stitches on the RIGHT SIDE of the pattern are actually purled. This is usually a faux pas because purling a new color always leaves a very obvious opposite color bump. But here it was a design element, and I embraced it it. It's why I like to call this my 'deconstructed' fair-isle. By the way, you may not have the same gauge in the round as you do flat. I recommend that you try a faux in-the-round swatch to get the right sizing. How that works: Use a circular needle. At the end of each row, instead of turning to work on the wrong side, move your stitches to the other end of the needle, and then pull the yarn out about two times the width of the swatch. 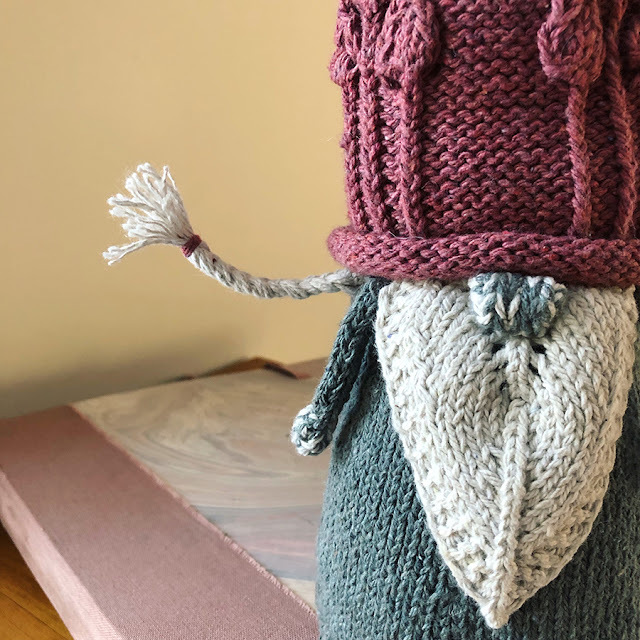 Start knitting on the right side again, leaving a "spaghetti" of yarn in the back and long enough to be out of your way. 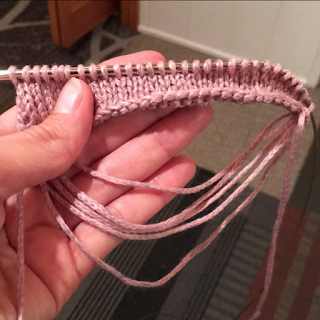 Make sure you cast on enough stitches so that you don't have to use the edge stitches to measure -- they'll always be a little loose. Another thing that attracted me to the sweater was a personal problemo of mine -- though it's admittedly a good problem to have. Because I'm a Rowan Yarns brand ambassador, I receive gorgeous but SOLITARY skeins of new yarns introduced each season. As much as I adore being in the know and sharing them with you, there isn't very much I can do with them. 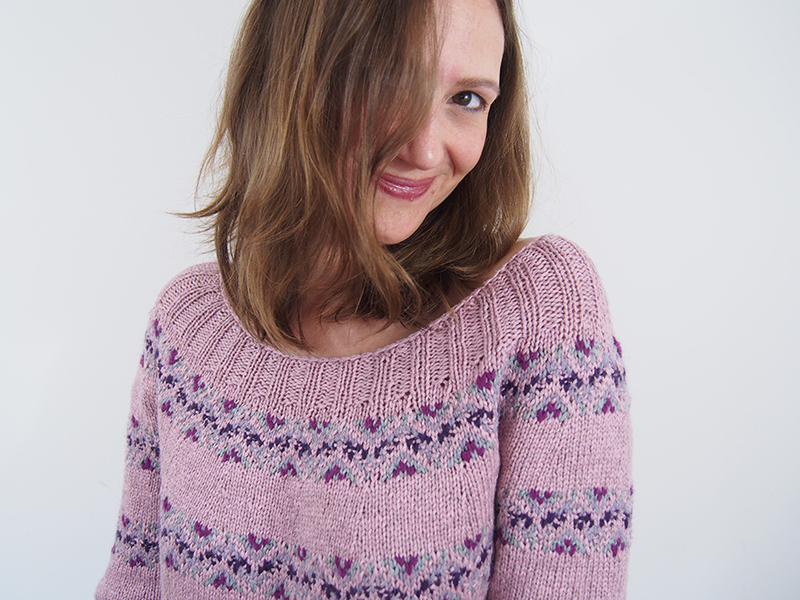 Well, this pattern was PERFECT opportunity to mix them together for a little Rowan showcase. 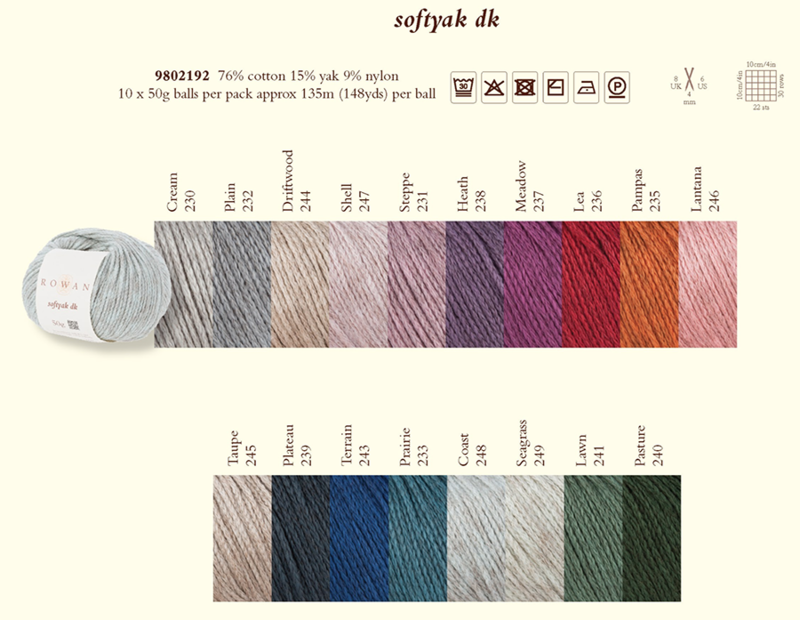 I started with a base of a VERY attractive chainette yarn they have had for a couple of years called Softyak DK. It's an unexpected mix of 76% cotton, 15% yak and 9% nylon and it's way lustrous. 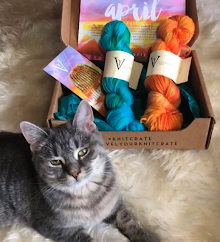 This is an important fiber combo for me because I need some sort of animal fiber in my cotton if I'm going to be at all comfortable knitting with it. This yarn goes the extra mile too -- not only is it a breeze to knit with, but it has a funky dark wash to it (is it the yak?) and it manages to keep you warm... cool... warm... cool... it's hard to describe, really, but it's the perfect Spring/Fall fiber! Rowan continues to release more and more shades of this yarn so it's definitely worth a try. 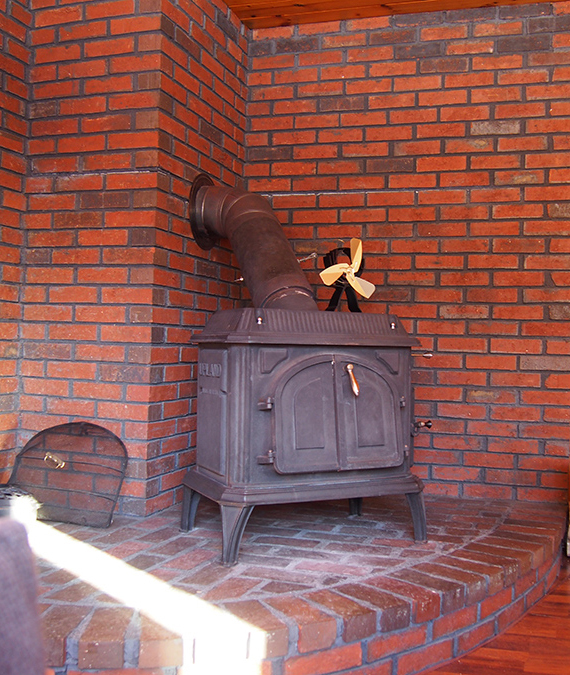 The body of the knit is relatively straightforward, but there is no waist shaping. If you'd like to add some, I don't see why you couldn't in the solid rows. 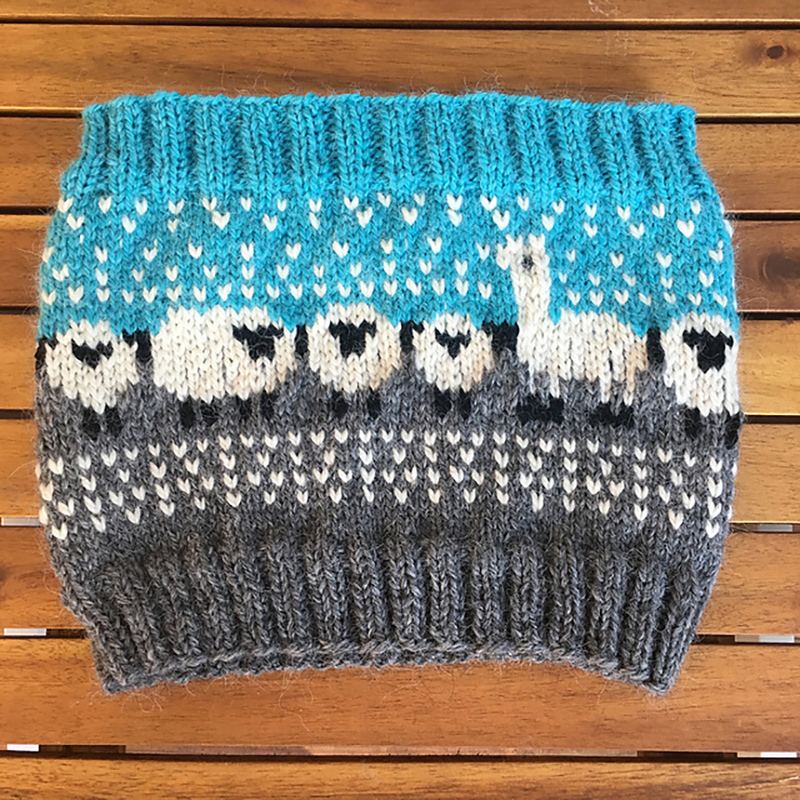 You could even change stitch counts inside the fair isle bands, it's deconstructed enough that I don't think you'd notice. I think that the neckline is one of the most beautiful I've ever worn. I do suggest you bind-off tightly to make sure it sits perfectly on the shoulders. Other than that, follow the instructions! 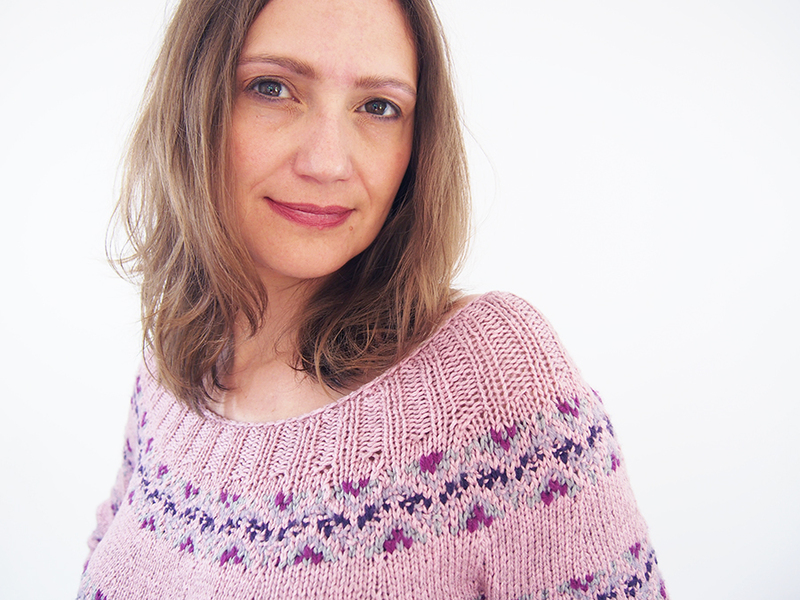 The decreases on the yoke are lovely as well, can you see them? Now, as you may know, I have long arms, so I did have to do some major shenanigans on that front. 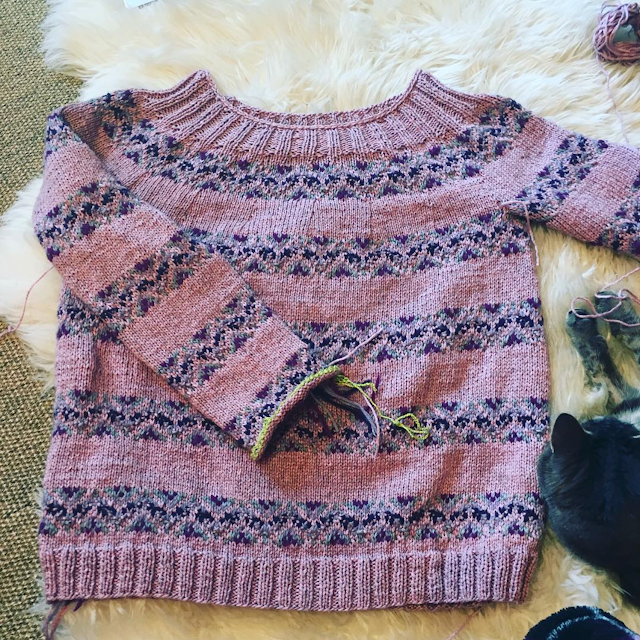 Yoke sweaters are always a little tricky because the armhole can be very deep and require shorter sleeves than you think. 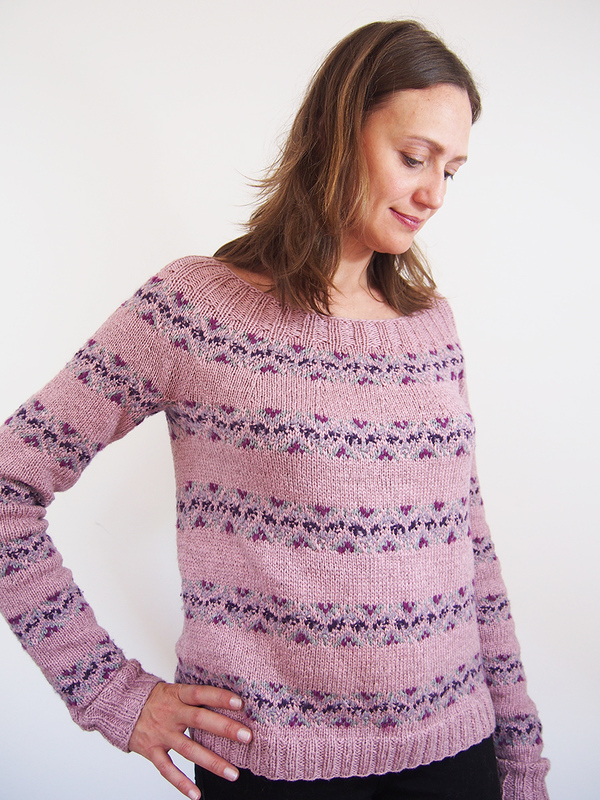 But then something occurred to me -- knitted fair isle is NOT reversible. 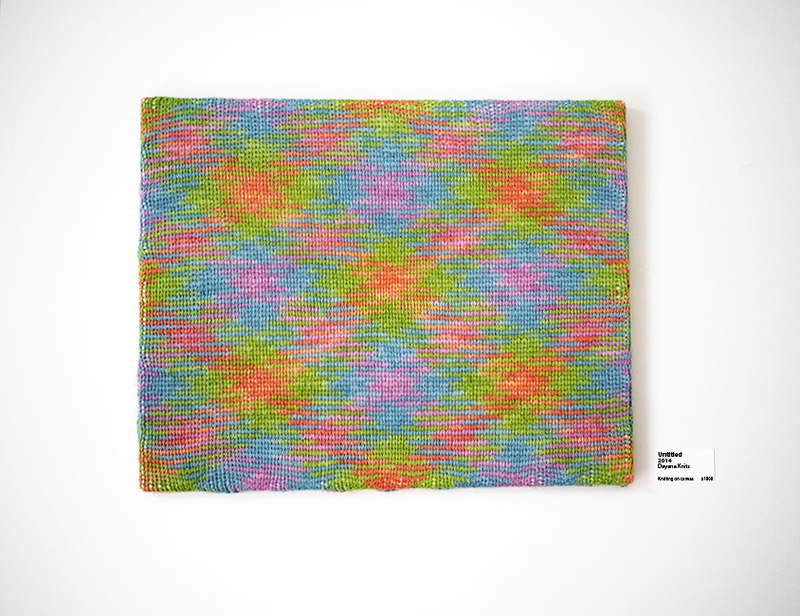 If you knit the same motif in the opposite direction, all the "V"s turn into "^" and it's totally noticeable! If you are ever in this predicament, here's a fix. I've been wearing this for awhile now and I think the Softyak DK is holding up nicely. However, like most cotton-based yarns, the ribbing gets a little loose. I've started ironing a lot of my knits... I don't mean hovering over them like I used to preach. I just straight on put the iron on with full steam. You know what? It works, especially for this yarn. I know you might be scared of that, but I've been surprised at how it doesn't seem to change my knits at all. Go figure! I ironed right before this photo shoot. Ooh, I have something else to share. 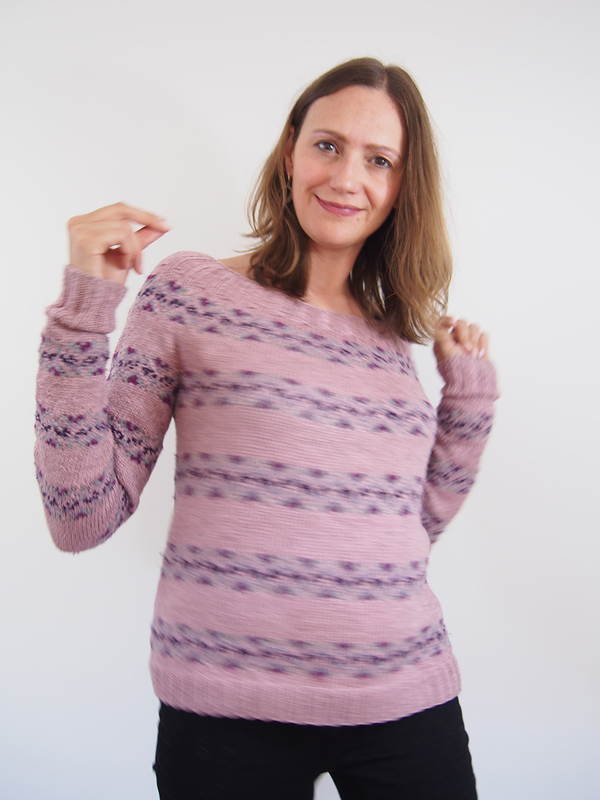 This was the first sweater I've tried out my new woven labels on, coming from Dutch Label Shop (based out of Pennnsylvania)! I had them make 3 different types, all very affordable. There's a healthy thread color selection, and you can either use their templates or upload logos/designs you've created. For the latter, they'll write back to you with a confirmation of what they will weave so there are no surprises. It's fantastic, I'm thrilled with the result! I'll be blogging in more detail about my experience ordering soon, but I thought that those of you in the market for a woven label would want a head start. Which do you like most -- white, black or cream? Watch my stories on Insta! And finally, I'm excited to tell you that I'll be teaching at a luxury knitting retreat at the gorgeous Inn by the Sea in Cape Elizabeth, Maine on Oct. 26-29. The 3-night retreat headlines high-end Anny Blatt yarns (a French mill in Provence that has been spinning yarns since the 1960s) for one of their signature Chanel-style jackets. 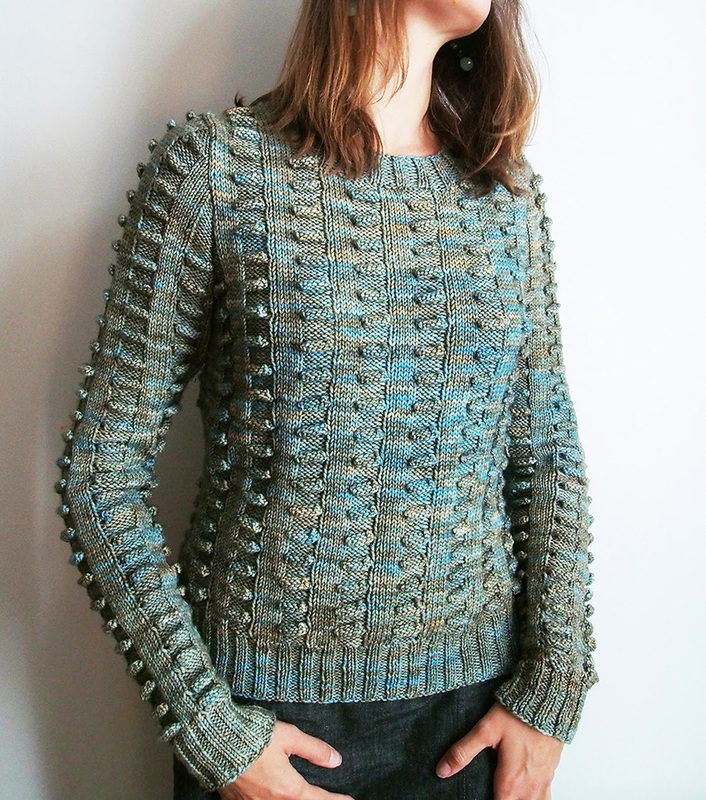 The price of the retreat includes everything you need for this one-of-a-kind project (a $600 value in yarn alone!) with detailed hands-on instruction from yours truly and other instructors, room/board and a 20% discount at the Anny Blatt North America marketplace. French angora, anyone? Let's not forget there's a beautiful spa there too -- at least look at this amazing beach-side hotel for some drool time! If you are interested, register here by June 22 for $100 off. Yeah -- I'm busy, LOL! 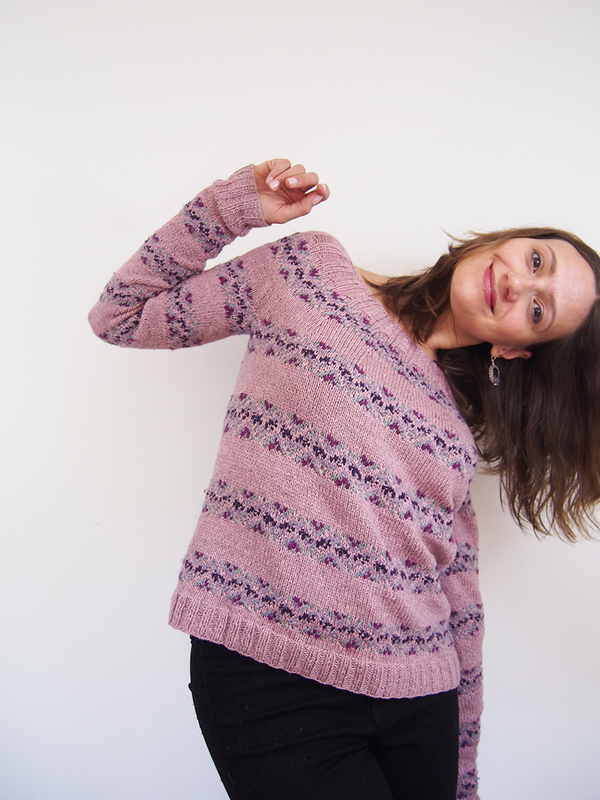 I love the colour of this jumper and feel your pain about long arms. They come in very useful, but I always have to buy extra yarn or the extra inches. As for your labels, my favourite is the white one. I had some printed years ago and they do give a nice finish to a project. Hi Una (and sorry for all these late replies, it seems that Google stopped notifying me about comments) I am so glad you like the white one. Everyone was clammering on about the black being best, but I love them both equally! The round one is more impractical, but it was fun to design. This looks fantastic on you, Dayana! I'm not usually a fan of pink, but this could change my mind. 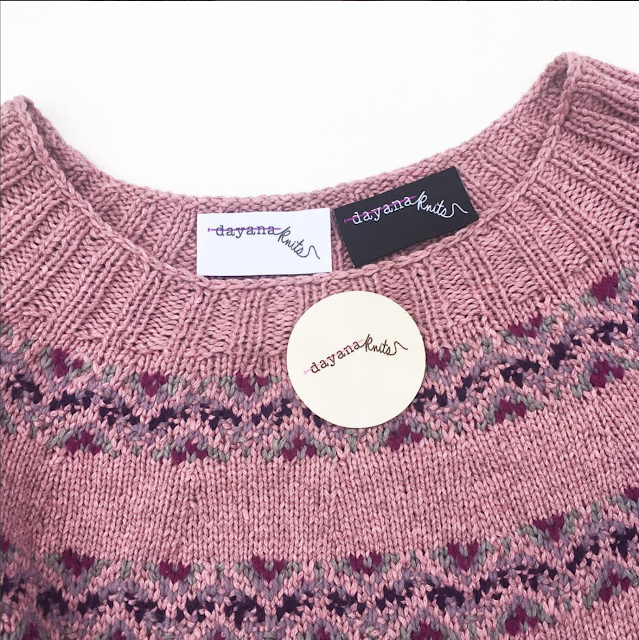 Did you know that traditional Bohus knitting incorporated purls into the colourwork yokes to produce this beautiful effect? 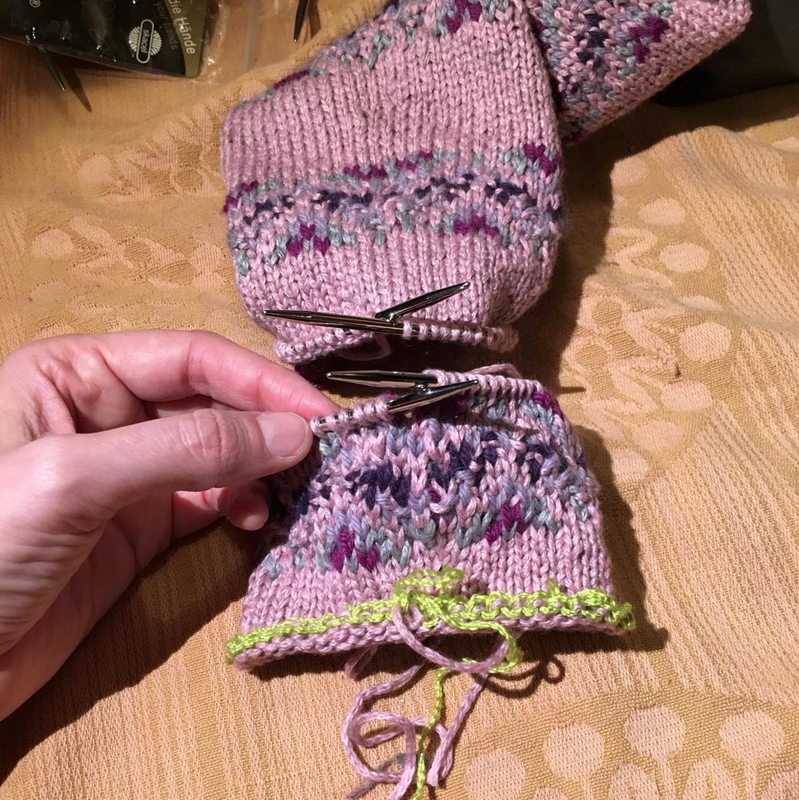 They were knit at a much tighter gauge so the effect was subtle, but still the purled stitches were an integral part of the look.